Should Autonomous Cars Swerve or Crash? Consumers are still way about autonomous cars, which is why many of them don’t trust the technology and don’t yet feel confident about manufacturer ability to enhance safety. Several self-driving cars that wound up in accidents have also raised big questions about who is responsible in a wreck and how autonomous cars should respond to various situations. No matter how your recent accident occurred, whether it was with another driver behind the wheel or involving a self-driving car, you need advice from an attorney immediately. Any kind of serious San Francisco car accident requires prompt action on your part. Complicated legal questions need to be carefully weighted post-accident so that you can determine how to proceed with possible recovery of compensation. Waiting too long could block you from getting the support you need post-accident. 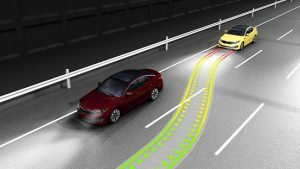 A new study reveals which action should be taken by self-driving cars in the event that an oncoming collision is unavoidable. Even a perfectly functioning autonomous vehicle will be unable to avoid every collision type, and because some will end in a crash, this raises important questions about what autonomous vehicles should do. The study recently published in Risk Analysis, an international journal, explored a preference regarding moral judgements in situations of uncertainty and risk. The research team addressed study participants by asking them to choose between swerving or staying in their lane, wherein each action would lead to a collision with another person with varying levels of uncertainty. Generally, people wanted their car to say in its own lane and perform an emergency stop. This conforms to the general rules of driving, even if it does not minimize the expected loss in an accident. Unfortunately, human error is still the leading cause of personal injury accidents and can cause significant injuries and fatalities when you’re not careful. When human error causes an accident, personal injury laws entitle you to recover compensation as a victim, but there are limits on the time period for which you can pursue this and you must take action immediately to ensure that you have the best possible chance of recovering the funds you need to put your life back together and move on.